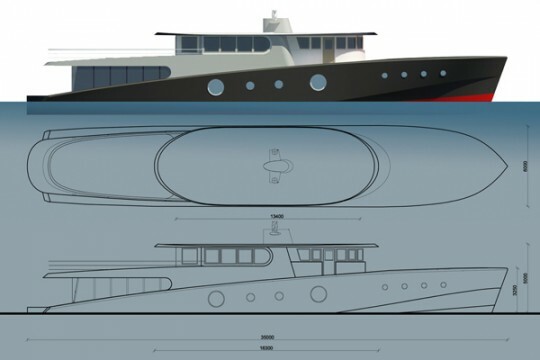 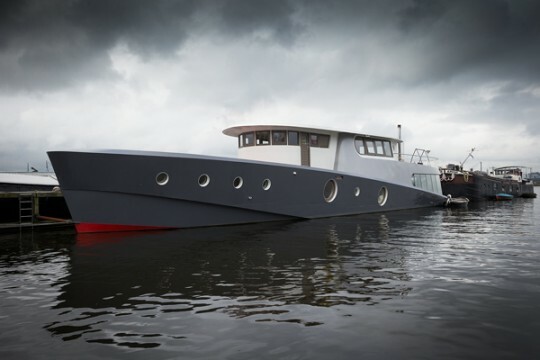 The Tasmania was built for Sonja & Michiel who were looking for something like the Somoya but unique. 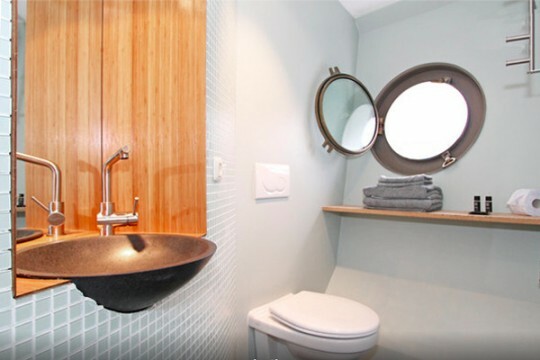 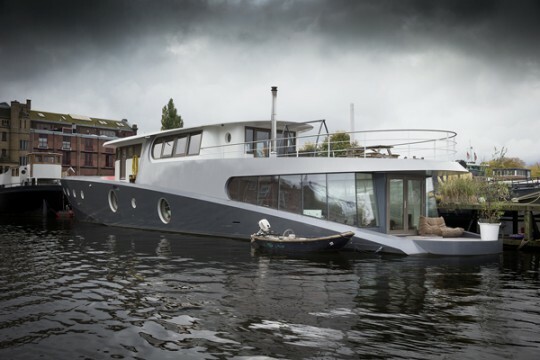 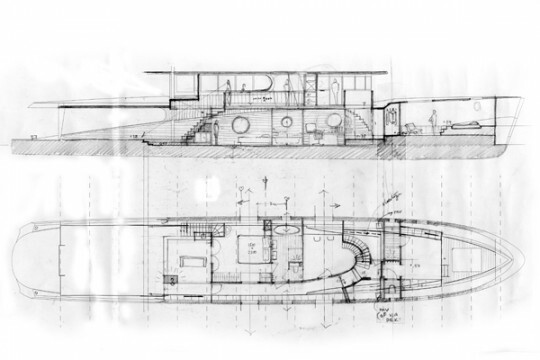 The design of this custom-built houseboat is the result of an intense collaboration with the clients to find the perfect blend of purpose-built and classic lines. 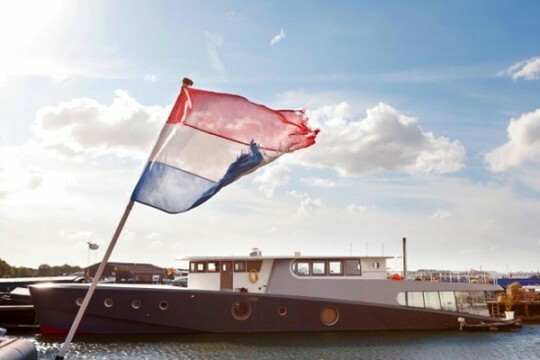 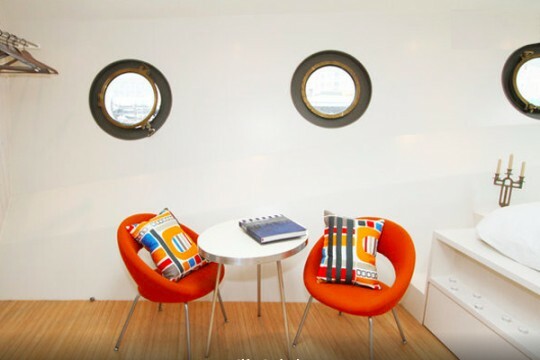 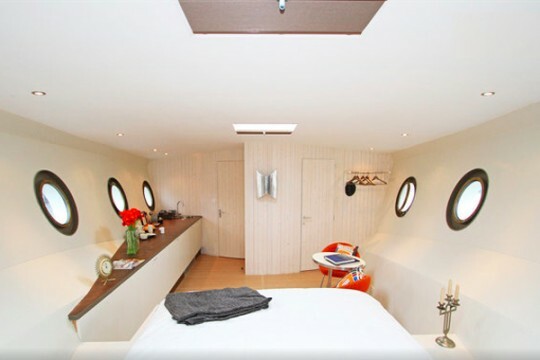 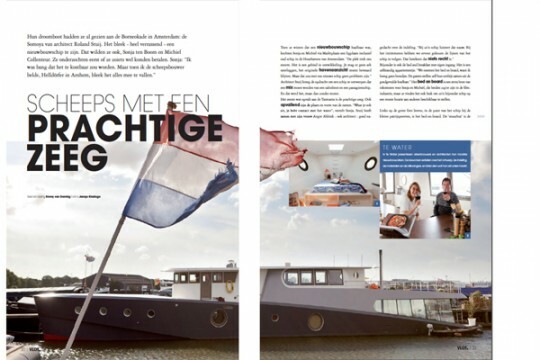 The ship is moored on the banks of the IJ in Amsterdam and houses loft-like living quarters, office space and a Bed&Breakfast, all exquisitely furnished by Sonja & Michiel.